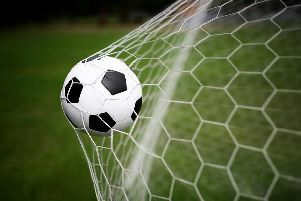 CHICHESTER City’s Ladies side were dumped out of the Premier League Cup in the second round on Sunday. City knew they were going to be in for a tough test against division-higher Albion and that proved to be the case as they fell to a 6-0 defeat. A brace each from Charlotte Gurr and Kate Natkiel, while strikes from Charley Boswell and Amy Taylor ensured City fell to defeat in the competition’s second round. Chi’s side included two former Albion skippers with Kerrie Ryan and Tammy Waine both starting but they could do nothing to prevent a heavy away-day reverse. Albion went ahead in fortuitous fashion on 17 minutes. City’s stopper Sally Thompson miscued clearance fell straight to Boswell and she fired home. Albion extended their lead on 30 minute as Natkiel swivelled in the Chi area before smashing a low shot past Thompson. Natkiel then bagged her second and Albion’s third ten minutes before the break as Chi began to struggle. Thompson made a couple of vital stops before the break to keep it at three. But Thompson’s efforts proved in vain as Albion added a fourth on 49 minutes. Gurr was first to pounce on a loose ball and she bagged the strike that virtually put the game beyond Chichester. There was still time for a fifth and this time it was substitute Taylor who netted. Gurr’s whipped free-kick found Taylor at the back post and she poked home from close range. Albion piled forward in the closing stages as they went in search of a sixth. Taylor and Boswell both went close but saw efforts flash just wide. However, the sixth and sealer did come with less than a minute remaining. Natkiel saw her corner evade everyone in the box before nestling in the bottom corner. That ended what proved to be a tough day for Chichester. Chichester City’s reserve side saw their scheduled match with Charlton Athletic reserves postponed. The fixture has now be rearranged and will take place in Charlton on Sunday, March 6 with a kick-off time yet to be announced.